A centralised masterclock controls a cabled slave clocks. 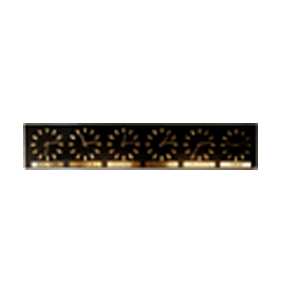 24VDC alternating impulses control a network of slave clocks (analogue or digital). Impulse systems can control over 100 clocks over a wide area of all types of clocks from analogue wall clocks, tower clocks and digital clocks etc. 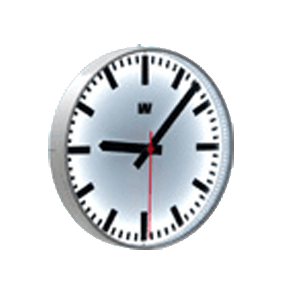 Master clock for operation of singel analogue slave clocks or digital clocks. 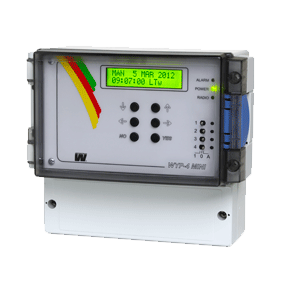 WDP-Y MINI also have programmable relays. 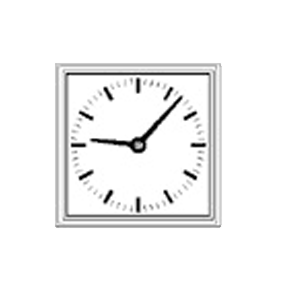 Master clock for operation of analogue slave clocks or digital clocks. WDP-Q2 have two impulse outputs. 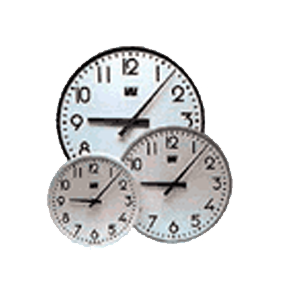 Master clock with time zone signals for digital and analogue world time clocks. 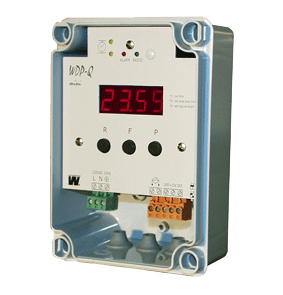 Master clock programmer for operation of analogue slave clocks and digital clocks, with 2,4 or 8 programmable relays. WDP M+S have a minute- and seconds output. Master clock programmer for time keeping in church clocks and chimes. Programmer with 6 impulse groups, two relays and built-in running reserve. Programmer with 4 programmable relays. Programmer with 8 programmable relays. Signal receiver for automatic time adjustment via GPS (satellite based navigation system), with high accuracy time. Impulse amplifier to amplify minute- or seconds impulses. Expansion unit with 8 outputs (up to 64). 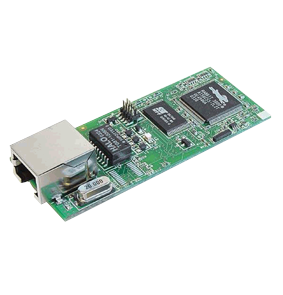 The Ethernet module makes it possible to connect a Master Clock to a LAN (Ethernet Local Area Network). 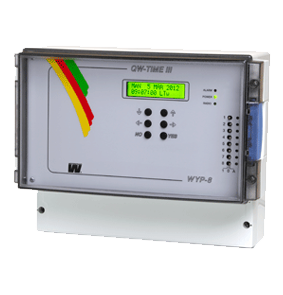 The module can be built into any QWTIME III Master Clock. 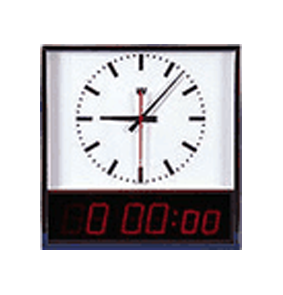 A centralised masterclock can controls a variety of different analogue clocks. 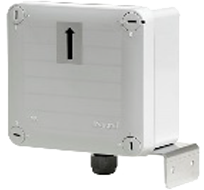 Varying in different sizes from 230mm up to 900mm are suited for internal and external installations. 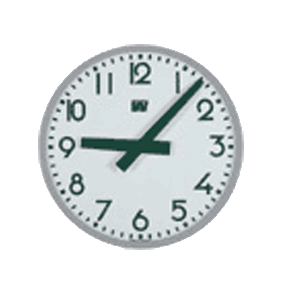 Clocks are controlled by the masterclock impulses to keep the correct time. 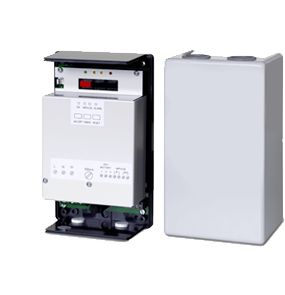 24VDC impulses can control a network of over 100 clocks over a wide area of all types of clocks from analogue wall clocks, tower clocks and digital clocks etc. Slave clock with ABS-plastic housing, hour- and minute hands, available with stepping seconds hand. Slave clock with anodised aluminium housing, hour- and minute hands, available with stepping or sweeping seconds hand. Slave clock with aluminium housing, hour- and minute hands, available with sweeping seconds hand and with or without internal illumination. Slave clock with aluminium housing and internal LED-illumination, hour- and minute hands, available with sweeping seconds hand. Protected IP65 slave clock with acrylic plastic housing, hour- and minute hands. Protected IP65 slave clock with aluminium housing, hour- and minute hands. Instrument clock to be incorporated into panels etc, dial face with hour signs. 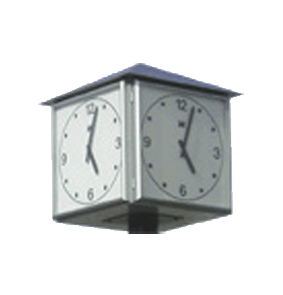 Slave clock for hanging or pole montage with aluminium housing, hour- and minute hands, avalible with sweeping seconds hand and with or without internal illumination. 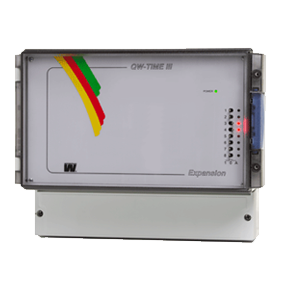 A digital elapsed time clock for indoor use. 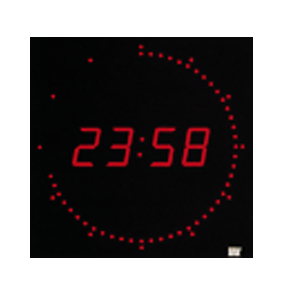 Consist of a analogue clock with hour- minute- and seconds hands and a built-in chronometer with LED numbers. With remote control unit. A centralised masterclock can controls a variety of different digital clocks. 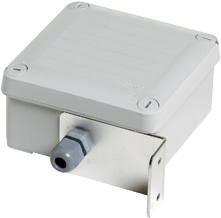 Varying in character heights from 50mm up to 450mm are suited for internal and external installations. 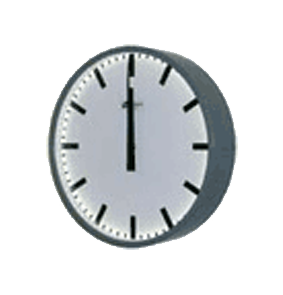 Clocks are controlled by the masterclock impulses to keep the correct time. 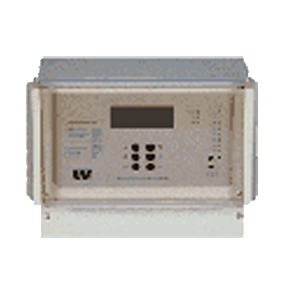 24VDC impulses can control a network of over 100 clocks over a wide area of all types of clocks from digital clocks, time and temperature etc. 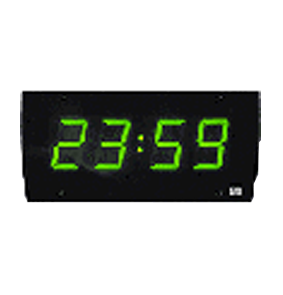 Digital clock for indoor use with green LED digits. red/green. 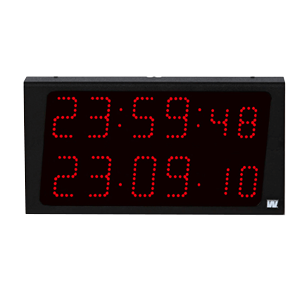 Digital clock for indoor use with red/green LED digits. Digit height 60 mm. 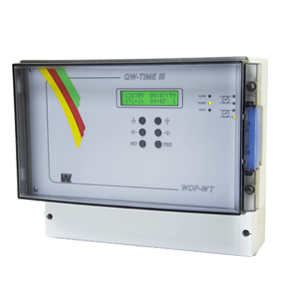 Digital clock with date indication for indoor use with red/yellow/green LED digits. Available with seconds indication. 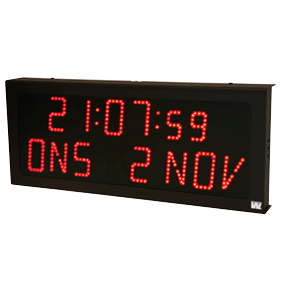 Digital clock with date indication for indoor use with red LED digits. 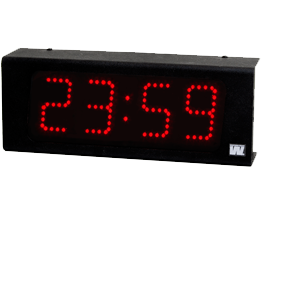 Digital clock for indoor use with red LED digits. Digital clock for indoor/outdoor use. For indoor use red/yellow/green diodes available. For outdoor use is red and yellow available. 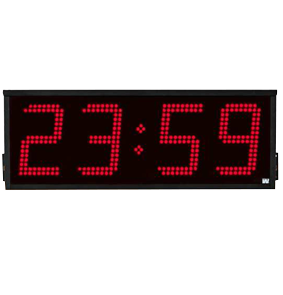 Digital clock for indoor use with red LED digits and a circle of LED's indicating seconds. Available in several different versions, see Leaflet. 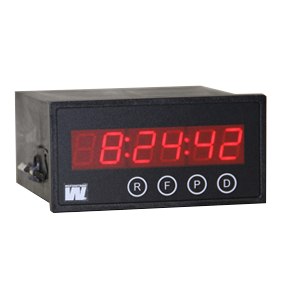 Digital clock for recessing montage with red LED digits. 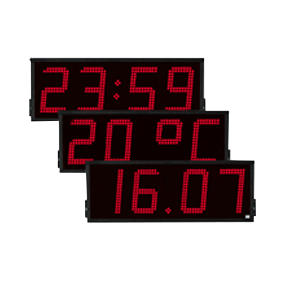 Time and temperature display with red LED digits for indoor/outdoor use. For indoor is red/yellow/green available For outdoor is red and yellow available. Banking and Dealer Rooms World Time displays. Customise your preferred city locations. Available in both analogue or digital formats. 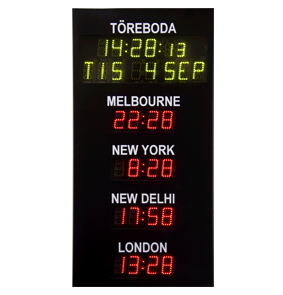 Analogue world time clock for indoor mounting, 4 or 5 different timezones. Hands and time marks in brass, location names in black letters on brass plates. Other versions will be quoted upon request. 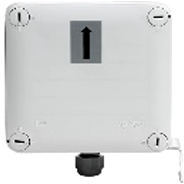 Digital world time clock for indoor mounting. 5 timezones + 1 date. Red LED digits, digit height 60mm. 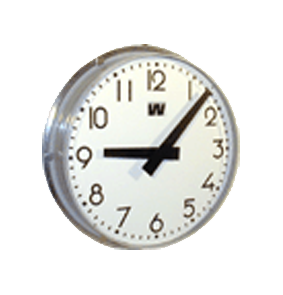 Master clock with timezone signals for digital and analogue world time clocks. 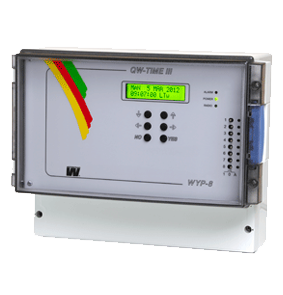 Westerstrand provides time systems specially designed for marine applications. 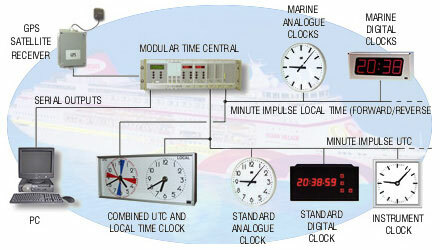 Marine time systems for local and universal times. 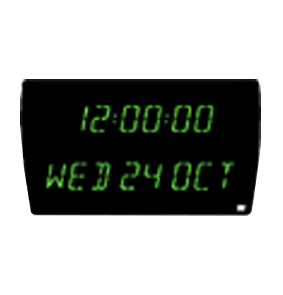 The image below displays an example of an application that shows both local time and UTC time. The system can be controlled by PC. A GPS satellite receiver keeps track of the current boat position.